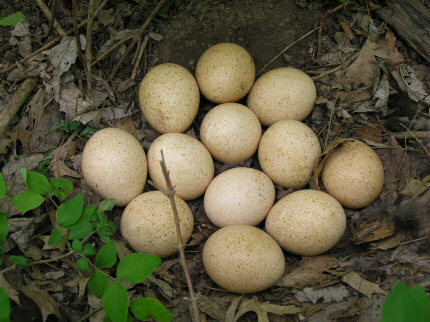 Turkey Eggs 15 feet from a cache. Today we took off down toward Fort Scott, Kansas. We were able to grab 11 caches from our 100 mile circle. It was the perfect day for geocaching. Most of the caches were not too hard and took our time and enjoyed ourselves. We are spending the night in Pittsburg, Kansas at the Comfort Inn. Wireless internet. I'm right at home. I love it. 1671 Steps Today - .94 miles.